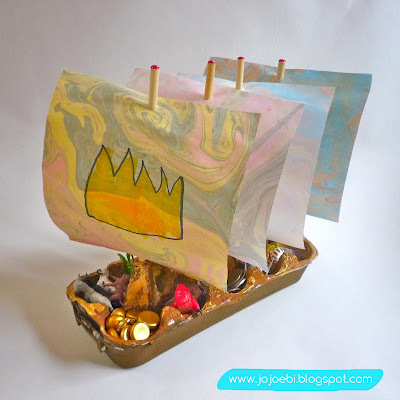 We built a treasure boat for the Lilla a and the Big Kids Magazine collaboration. 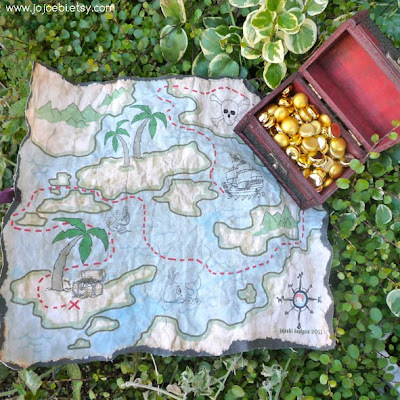 I shared my treasure with you and made a treasure filled treasury. We went on a trip to Barbados. Ate a MTD full of gold. 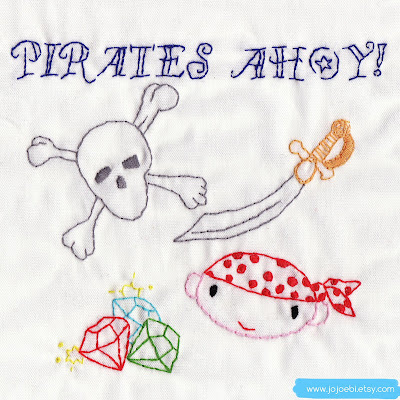 I added the Cloth Treasure Map to the jojoebi designs collection, now available in the shop. I have been stitching up pirate themed embroidery and made my first themed party pack (don't forget the giveaway). and...... we have been singing this song FAR TOO MUCH! Ha, I hope that is stuck in your head too!